Hopefully, you won’t have any problems with anything that you order from Amazon.com. With that said, accidents and mistakes happen, and you may get stuck in an unfortunate situation where your order is uncannily late or doesn’t arrive at all, or it arrives broken, defective, or with parts missing. Whatever the issue, you’re going to want to get in touch with Amazon’s customer service department. 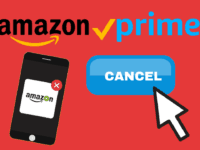 The easiest way to contact Amazon’s customer service department is by using their toll-free phone number at 1-888-280-4331. If you need the personal touch, feel free to call and speak to a representative. 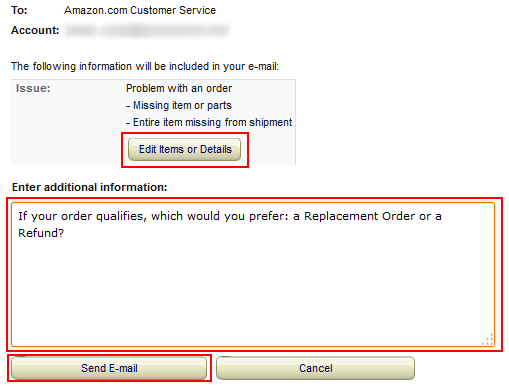 If you want a more efficient way to solve your problem, use Amazon’s guided contact process. 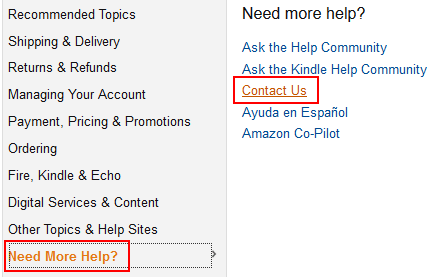 Sign into your Amazon account and click Help on the right menu. Enter the details of your problem. Choose from Email, Phone, or Chat as a method of resolving your issue. Based on your choice, click Send Email, Call Me Now, or Start Chat to deal with a customer service representative. Need a bit more detail about how this process works? Read our step-by-step guide (with pictures) below. 1. Sign in to Amazon. 2. Get help from Amazon. Scroll to the bottom of the screen and click Help in the right-hand menu. Move your mouse cursor over “Need More Help?” and click Contact Us. 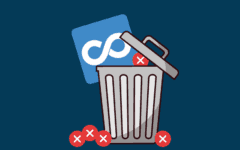 You may be prompted to log in (again) when you do this; you can click Skip Sign In to skip this step, but by logging in, they will have your information ready when you contact them. 4. Explain your problem, and choose a method to send your issue report. The next screen lets you specify information that will give the customer service team a quick overview of your problem so that they can help you solve it faster. You don’t have to fill in all of the information here, but the more you do, the better customer service can help you. First up is the “What Can We Help You With?” section. 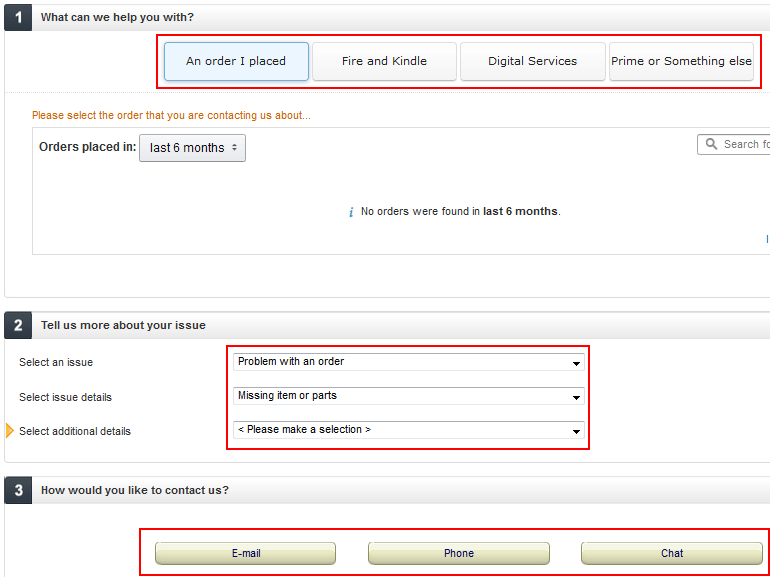 Click the buttons here to explain the type of product or service that you need help with: an order, one of Amazon’s unique products, downloadable digital content, or something else. Note that depending on which one you choose, you may get different sub-options. For example, if your problem is with An Order I Placed (as it is in the screenshot here), you can search for and select the specific order that you’re having a problem with. Next is “Tell Us More about Your Issue.” You can click the drop-down menus here to select details about exactly what kind of problem you’re having with the product or service you’ve selected. Again, based on what you chose in the above section, you will have different sub-options. For example, you may specify that the problem with your order is with the item itself, the sub-problem being that the item or some of its parts were missing, and the further sub-problem being that the entire item was missing from the package. Once you have filled in enough information in the above options, the “How Would You like to Contact Us?” options will become available. Sometimes, depending on the options you’ve chosen, they will suggest a specific way to contact their customer service department. Regardless, click one to start the contact process. 5. If you selected email, enter additional information and send an email. If you choose to contact Amazon customer service by clicking Email, you’ll see this screen. Click Edit Items or Details to go back to the previous screen if you entered any information incorrectly. Otherwise, click in the box that says “Enter Additional Information” and type in a more detailed explanation of the problem. Depending on the information you’ve already given about your problem, you may get a hint as to what to put here. 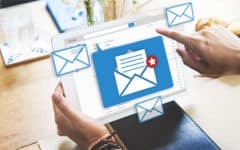 When you’re finished, click Send Email. 6. If you selected phone, have Amazon call you. 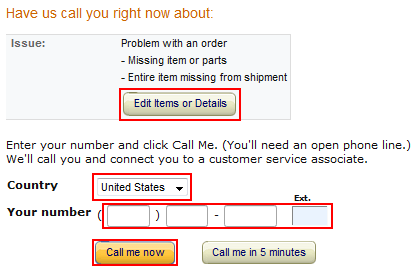 If you choose to contact Amazon customer service by clicking Phone, you’ll see this screen. Click Edit Items or Details to go back to the previous screen if you entered any information incorrectly. Otherwise, click the drop-down menu labelled “Country” and select what country you’re calling from, click in the boxes marked “Your Number” and type in your phone number, and then click Call Me Now. An Amazon customer service representative should call the phone number that you entered shortly, and they will walk you through solving the problem. 7. If you selected chat, begin your chat with the representative. 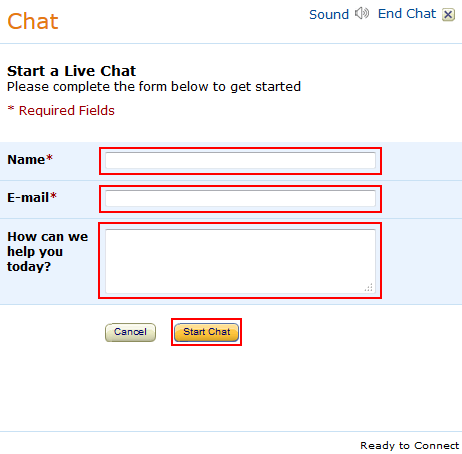 If you choose to contact Amazon customer service by clicking Chat, you’ll see this screen pop up. Click in the field marked “Name” and type in your name, click in the field marked “Email” and type in the email address that you use for your account, and then click in the field marked “How Can We Help You Today?” and type in a more detailed explanation of the problem. 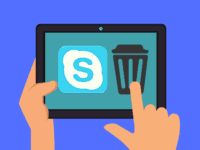 Then click Start Chat to begin sending quick messages back and forth with a customer service representative to work out the problem. Though there are stories here and there on the Internet from disgruntled Amazon customers who think they were treated poorly by Amazon’s customer service team, the general consensus is that Amazon’s customer service department is actually one of the best ones among today’s big Internet-based companies, with an overall customer satisfaction rating of around 87%, which is far better than some of its competitors such as eBay.com, which has a notoriously lax attitude towards customer service. 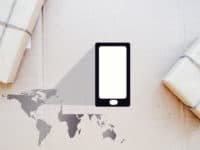 With that said, there are a few things you can do to make your encounter with Amazon’s customer service department run as smoothly as possible, should you ever find yourself needing to contact them. 1. Use the guided contact process from the start – it makes everyone’s lives easier. 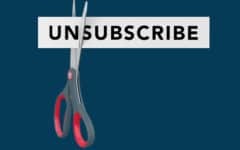 As we said above, calling Amazon’s toll-free customer service number may be the fastest way to get in touch with the customer service department, but it’s definitely not the most efficient way. By logging in and using the guided contact process, the customer service representative will have all the information they need about you to help fix your problem right in front of them when you get in touch. 2. Provide as much information as possible, and be as detailed in your explanations as you possibly can. Following the above point, provide as many details about your problem as possible as you go through the guided contact process. It will help the customer service representative that you connect with narrow down your problem and offer a solution more readily. 3. Be patient and courteous with the customer service representatives. 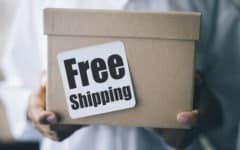 We know it’s hard to stay calm when something’s not right, but remember that the customer service department isn’t the source of your problem; it’s the shipping division, the courier service, or the third-party seller (if you bought from one). Staying connected and not losing your temper is the only way you’re going to help the customer service representative make things right. 4. If you bought from a third-party seller, contact them too. You may actually want to contact the seller first, before you try to contact a customer service branch. The seller may be able to explain the problem, or at least give you information that you can provide to a customer service representative to help them help you fix your problem. And that’s how you contact Amazon customer service. 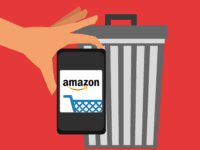 Remember that Amazon wants to help you solve your problems – their reputation is staked on it! If the issue you’re having is a safety concern, consider reading our article on how to stay safe while using Amazon.